Some Cubs roster moves today, figured this was coming based on the comments from Jed Hoyer earlier in the day. This led to some speculation that there would be an unexpected non-tender as the five arbitration eligible players were Matt Garza, Jeff Samardzija, James Russell, Luis Valbuena, and Ian Stewart. Not the case, and I think there was some confusion in the reporting process of Hoyer’s comments, so moving onto the news of the day. The Cubs non-tendered Ian Stewart, Zach Putnam, and Jaye Chapman today, essentially making them free agents immediately. All three players drop off the 40 man roster, leaving the 40 man roster at 37 currently. I said essentially free agents because teams sometimes do this to save money on arbitration eligible players. If the Cubs think that they can still sign all three players but at a lesser cost, it makes sense to non-tender them and then sign them on the open market. With that said, all three players are now in the FA pool and any team can sign them. The did tender Matt Garza, Jeff Samardzija, James Russell, and Luis Valbuena. All four of those players remain under Cubs control for 2013, and will go through the arbitration process early next year unless contract extensions can be worked out. With the signing of Scott Feldman yesterday the Cubs needed to clear a roster spot on the 40-man roster for him, they did that today by designating Casey Coleman for assignment per Carrie Muskat. The Cubs long-held out hope that Casey Coleman would fulfill the potential that they saw in him but that has not happened at all, especially at the big league level. Expect Coleman to be placed on waivers, unless the Cubs can move him in a deal within the next 7-10 days. 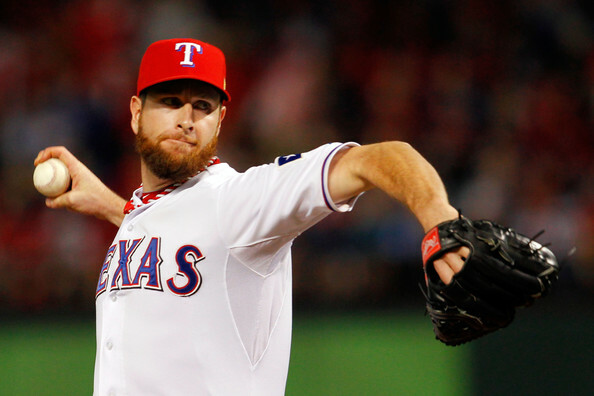 Buster Olney is reporting via Twitter today that the Cubs and Scott Feldman are nearing a deal. Buster continues that it would be a one year deal, but nothing is official yet, sounds like it’s very close to being official though. If indeed this signing does happen I really like it. Feldman, who is 29 years old, and Scott Baker were two solid free agent pitchers that aren’t that flashy name that people are exited about but they are quality arms that give teams innings. Feldman has pitched for the Rangers for his entire 8 year Major League career and sports a career ERA of 4.81, not too bad considering where he was pitching. Last year wasn’t the best of years for Feldman as he was 6-11 with a 5.09 ERA, but 2009 is when he really burst onto the scene going 17-8 with a 4.08 ERA. He would be a welcomed addition to this Cubs staff, more as it becomes available. [UPDATE] Per Patrick Mooney the deal is official, one year deal worth $6 million, nice signing by the Cubs. Per Matt Eddy of Baseball America the Cubs have signed four players to minor league deals today, most notably Brian Bogusevic. The Cubs also signed infielder Alberto Gonzalez who appeared in 24 games with the Rangers last season playing all over the infield. Right fielder Johermyn Chavez was also signed, he spent the majority of 2012 in the Mariners organization at the Double-A level. Catcher J.C. Boscan was also given a minor league contract today, Boscan appeared in six games with the Braves this past season. Bogusevic is the only name you might actually know out of all these guys. 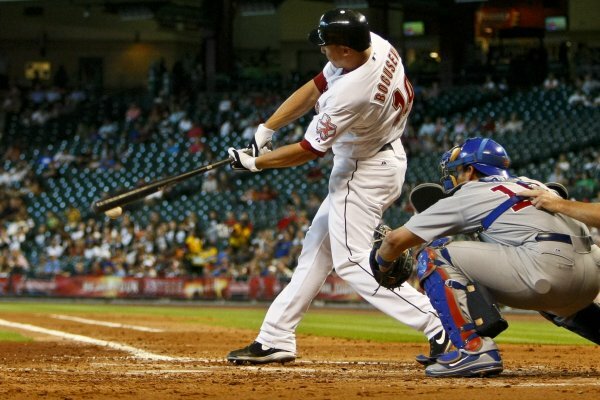 A 2005 first round pick, Bogusevic spent last season with the Houston Astros and appeared in 146 games. His numbers weren’t really much to write home about but he will be in the competition to earn a spot coming off the bench next year for the Cubs. I guess you can finally say the trade of Geovany Soto to the Rangers is complete now. At the time of the deal last July the Cubs received right-handed pitcher Jake Brigham from Texas in return for Soto and Brigham was assigned to Double-A Tennessee. Brigham was very bad, the reason he was very bad was a right elbow strain, because of this right elbow strain the Rangers and Cubs agreed that they would revisit this deal in the off-season to make sure everyone was made whole and no hard feelings. Are you still following? If so, good that brings us to today. The Cubs have traded Jake Brigham back to the Rangers for right-handed pitcher Barret Loux, and a player to be named later, which in reality is probably the best possible scenario for the Cubs. Loux had some injury issues in the past as well, but he once was thought very highly of. 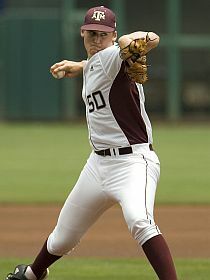 Loux was drafted 6th overall by the Diamondbacks in the 2010 Amateur Draft out of Texas A&M, and subsequently failed a physical because of a torn labrum and other elbow injuries so he was declared a free agent by Major League Baseball at the time. He was signed by the Rangers shortly thereafter and has shown to be past those injuries and with a decent level of success as well. Loux, now 23, was named the 2012 Double-A Texas League Pitcher of the Year going 14-1 with a 3.47 ERA in 25 regular season starts with Frisco, and I wouldn’t be surprised if he starts out in Triple-A next year with the Iowa Cubs. Today was the deadline to protect players from the MLB Rule 5 draft, players on a teams 40 man roster are protected, so it comes as no surprise that the Cubs filled out their 40 man roster today. The Cubs purchased the contracts of right-handed pitcher Trey McNutt, infielder Christian Villanueva, minor league player of the year in the Cubs organization Logan Watkins, and right-handed pitcher Robert Whitenack. The other minor league player of the year, Nick Struck was not added to the 40 man and thus left unprotected and available to any team that may want to add him in the Rule 5 Draft. It’s not that much of a surprise that he wasn’t added because the guys that were added have a better shot at sticking with the Cubs, especially McNutt. I think the move to the pen was the right one for McNutt last year and he could have pitched out of a Major League bullpen last year so it was wise for the Cubs to go in that direction. 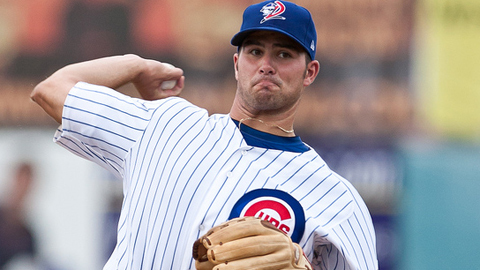 In addition to filling out the roster the Cubs also designated Bryan LaHair for assignment. The 2012 all-star is said to be looking into an opportunity to sign with a Japan team for next season, if that’s the case I hope he has a great year next year, he was a lot of fun to watch for 51 games last season. Shawn Camp is getting rewarded after a very solid 2012. Today the Cubs announced their plans to bring Shawn Camp back on a one year deal worth $1.35 MM, plus up to $200,000 worth of possible bonus money. Camp was one of the few bright spots on the team last year as he appeared in a career high 80 games out of the bullpen. Camp posted a 3.59 ERA last year, and actually tied the MLB lead for appearances, it’s nice to see that his arm is actually still attached, I was worried in September..